Portraying love and relationships in games can be tricky, and developers often struggle with how much interactivity, or even significance, should be given to intimate moments. 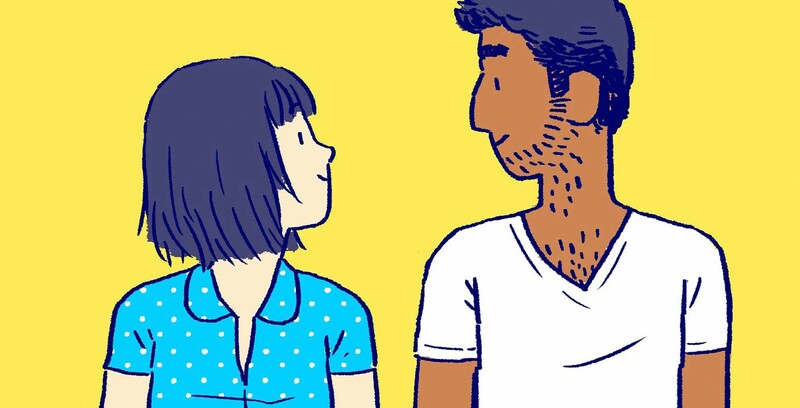 Florence, an interactive graphic novel, finds a powerful balance in its exploration of love, offering a breathtaking experience. This breezy game puts you in the shoes of 25-year-old Florence, who is wrapped up in a mundane routine. She snoozes her alarm several times before waking up, mindlessly browses social media on the bus, and chats on the phone with her worrisome mother. When she meets Krish, a cellist whose music enchants her one day during a stroll, her world lights up. The relationship that unfolds has its share of ups and downs, as the two do a careful dance of growing closer and growing apart, making the game feel authentic. 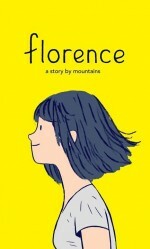 Florence tells its story mostly without words and requires minimal interactivity, but this simplicity adds to its allure. For example, in several short chapters, you match pairs of numbers to help Florence’s productivity at work or interact with a slider to put images in focus to advance a scene. These moments make the experience smooth, like conversation flowing naturally between two love-stricken partners. The simplicity keeps the focus on the narrative, so that I could better enjoy Florence’s clever and creative methods of marrying its thematic visuals with interactivity without complicated or distracting systems. Florence doesn’t just excel at portraying good moments; it also appropriately enhances the tense scenes with distinct aesthetics and changes to gameplay. Florence’s simple color palette can make the world comforting, while other times it makes more striking colors pop to accentuate strong emotions. For example, Krish’s cello-playing is overwhelmingly alluring when Florence follows floating music notes that grow into a vivid yellow background, and arguments are jarring and uncomfortable when the two wear bleak grey attire as blood red speech bubbles zoom upward. These fights are especially well done, as you try to fit puzzle pieces into speech bubbles quicker than Krish while harsh music plays. Though failing to be quicker doesn’t come with consequences, it tilts your view like a sinking ship. This imagery immersed me, as I envisioned the argument like a fierce tug-of-war. I imagined what terrible things the two were saying to each other while tears fell down their cheeks silently. Despite not having agency in the story’s direction, I felt a connection to Florence. I cheered her on as she discovered new inspirations, and felt a knowing pang of sadness as she brushed her teeth solemnly without someone by her side. She’s relatable in some of the simple ways all humans are – we all want to be loved – but she’s also young, idealistic, and finds passion through those she admires. It makes her plight more engaging and relatable. My interactions helped her through this snapshot of her life as I eagerly turned the digital pages of what felt like a personal journal. Florence is a beautiful experience that isn’t afraid to tell an ordinary story. This isn’t an action-packed, heroic tale or a somber story filled with tragedy, but it still hits some of those notes in subdued ways. Florence is happy, distressing, and admirable in its reflection of young romance, and it left me with a sense of unexpected hopefulness.